Description: Daisy May, Gottlieb, 7/54, 600 produced, double award, 2 kick out holes, 4 pop bumpers, 4 dead bumpers, no slingsots. 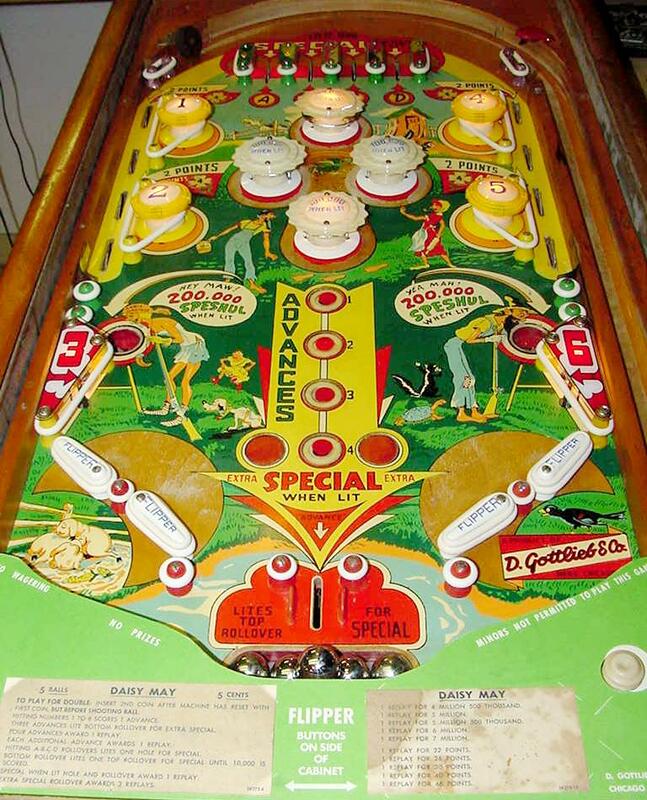 Four claim-shell style flippers at bottom of playfield. 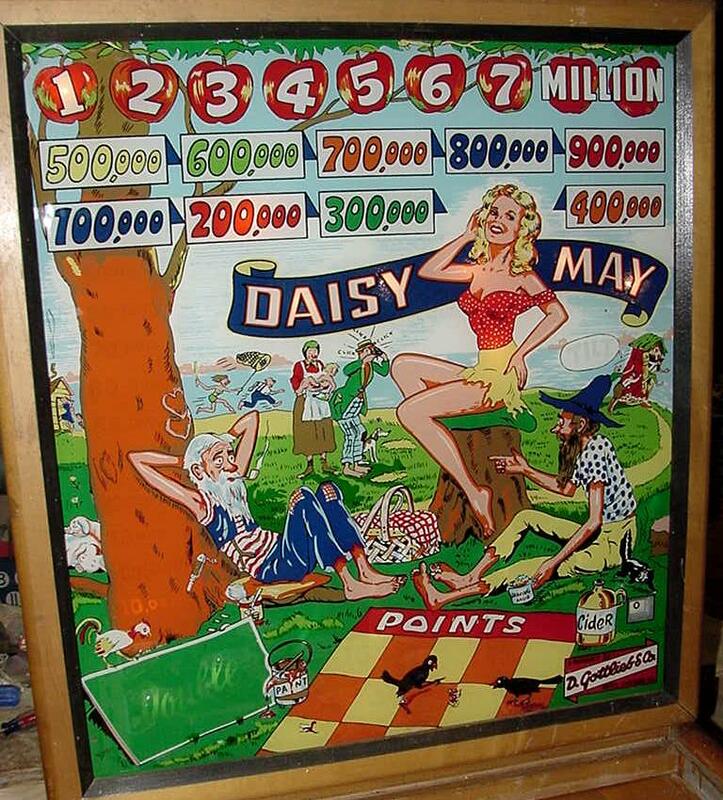 Woodrail pinball, Daisy Mae, artwork by Roy Parker. 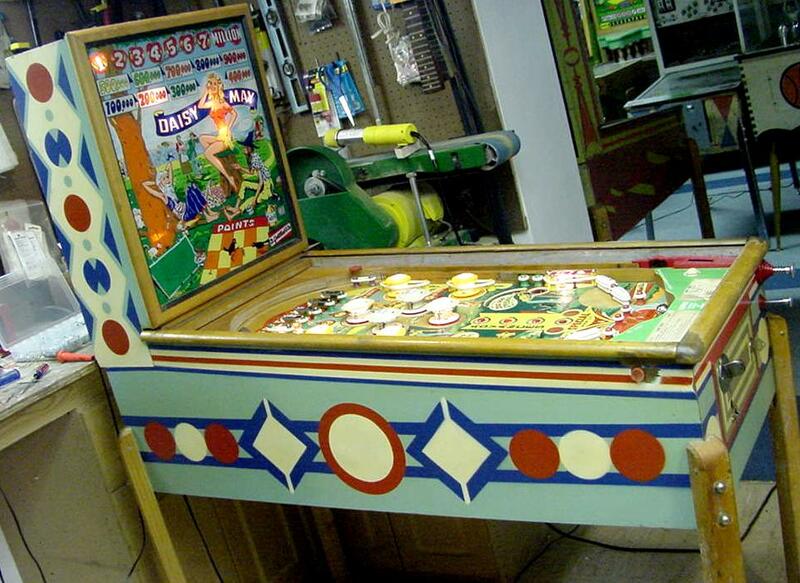 There are several strategies for winning replays on this game (besides high scores via single points or millions). 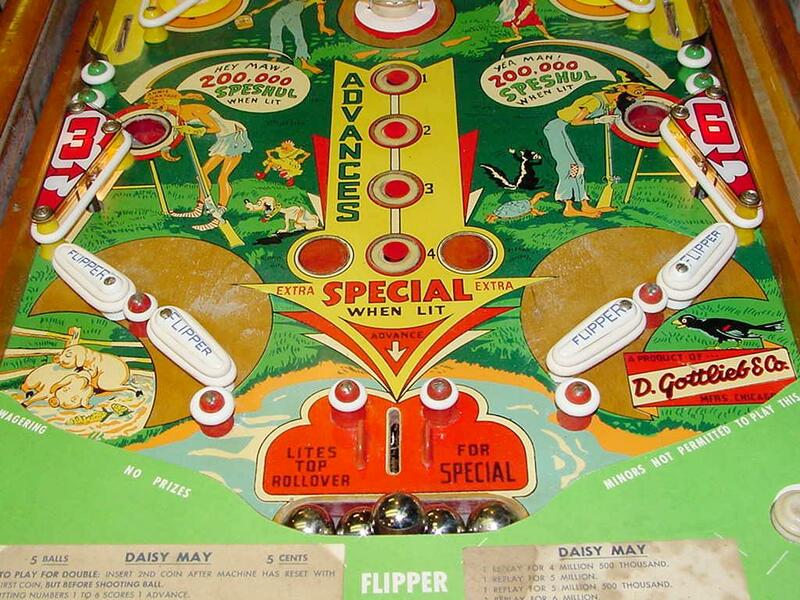 If the 1-6 bumpers are hit (does not need to be in order), this advanced the "advance" buttons across the bottom of the playfield (games starts with first advance already lit). This makes each button worth 10,000 points (unlit buttons score no points). Also draining over the center rollover advances the buttons one number. If the "advance" gets to number four, the Special inserts light. 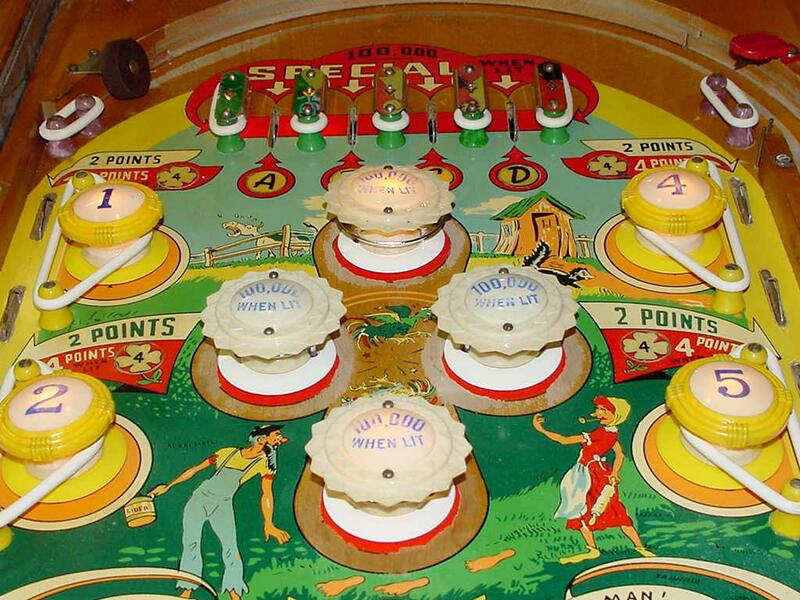 Now if the ball is drained through the bottom center rollover, three Replays are awarded (or six Replays, if the game was played as a "double award"). Also draining through the lower center rollover lights one top lane rollover (alternates with the 10,000 point stepper) for a Replay on the skill shot (as soon as any 10,000 point switch is hit, the top lit Replay rollover turns off). Un-lighting all the top A-B-C-D rollovers will light one of the two side kickout holes for replay (lit kickout alternates with the 10,000 point stepper). Also each A-B-C-D rollover hit will make the side lanes increase in point value (the side rollover lane starts as 2 points, and goes to a maximum of 4 points).